Figure. 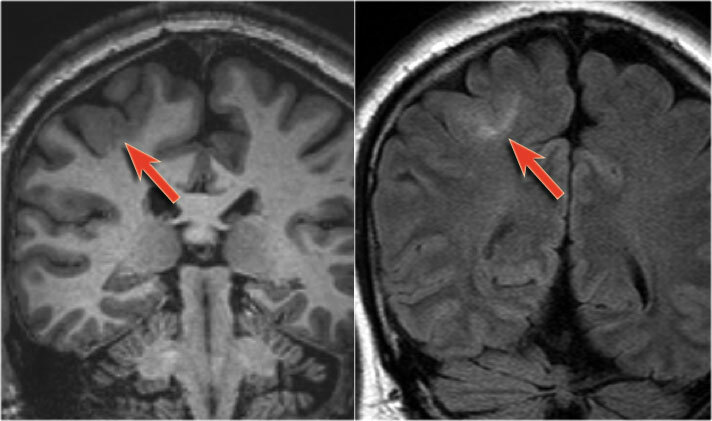 Subtle gliosis of left hippocampus (blue arrow) and atrophy (yellow arrow). 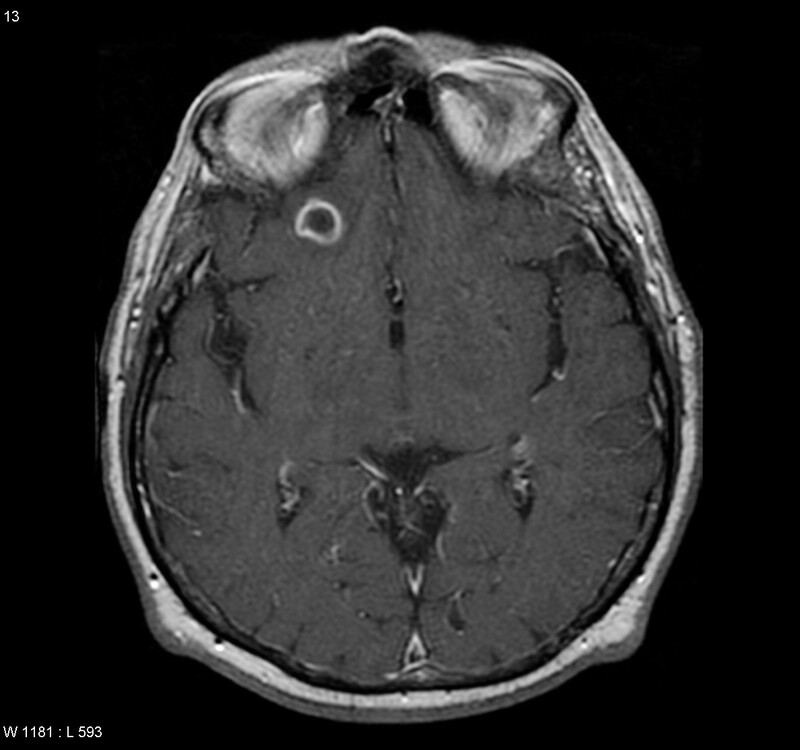 Note: most individuals with new onset epilepsy will not have a structural lesion on MRI, yield is 14%. Note: MRI evidence of hippocampal atrophy is a strong predictor of excellent postoperative seizure control after anterior temporal lobectomy. These techniques allow for a higher signal to noise ratio, improved imaging uniformity, and better spatial resolution. PET scan. The arrow points to where the seizures are coming from. 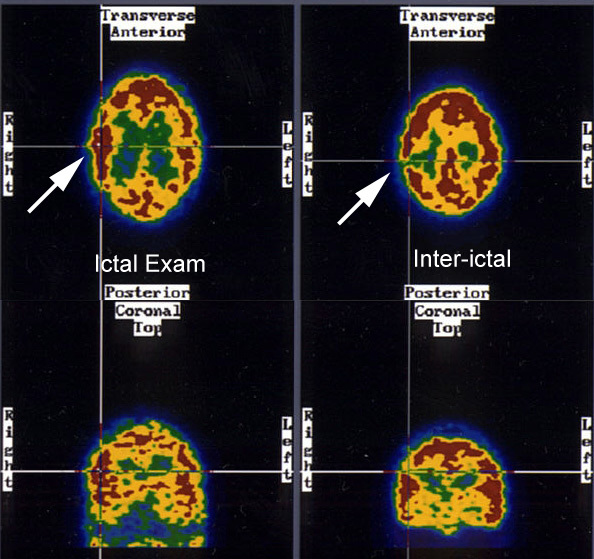 Ictal SPECT perfusion exam demonstrates a hyperperfused (metabolic) area in the right temporo-parietal region which corresponds to a hypoperfused region on the inter-ictal exam. AuntMinnie.com,. ‘SPECT Imaging In Seizure Disorders Discussion’. N.p., 2015. Web. 27 Sept. 2015. Radiologyassistant.nl,. 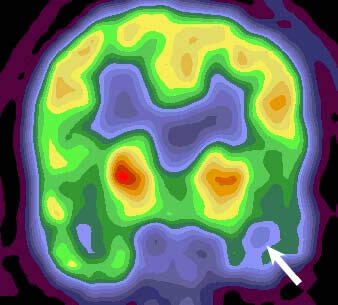 ‘The Radiology Assistant : Role Of MRI In Epilepsy’. N.p., 2012. Web. 26 Sept. 2015. Seattlechildrens.org,. ‘Epilepsy Symptoms And Diagnosis | Seattle Children’S Hospital’. N.p., 2015. Web. 26 Sept. 2015. Slideshare.net,. 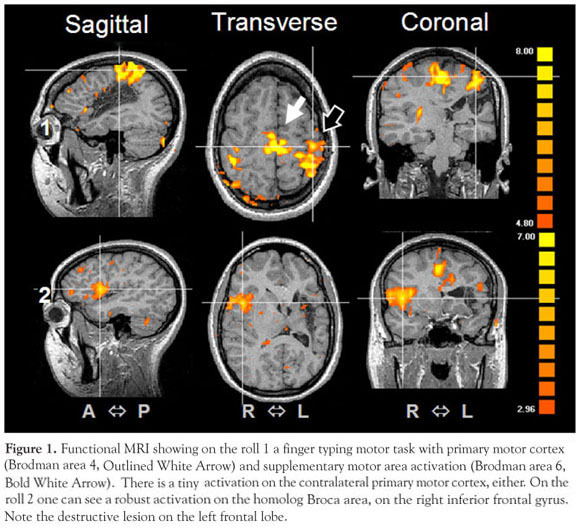 ‘Fmri Terms: HRF And BOLD’. N.p., 2015. Web. 26 Sept. 2015. Uptodate.com,. ‘Neuroimaging In The Evaluation Of Seizures And Epilepsy’. N.p., 2015. Web. 26 Sept. 2015. Proposed mechanisms of modulation of the SMA in normal subjects, SMA syndrome, PD and tics. The SMA can both positively and negatively modulate the contralateral SMA. In normal conditions this tonic interhemispheric balance may result in both initiation and inhibition of movements. In the SMA syndrome this balance is disturbed, leading to temporary lack of movements (akinesia) of the contralateral limbs and irreversible deficits of bimanual alternating movements. 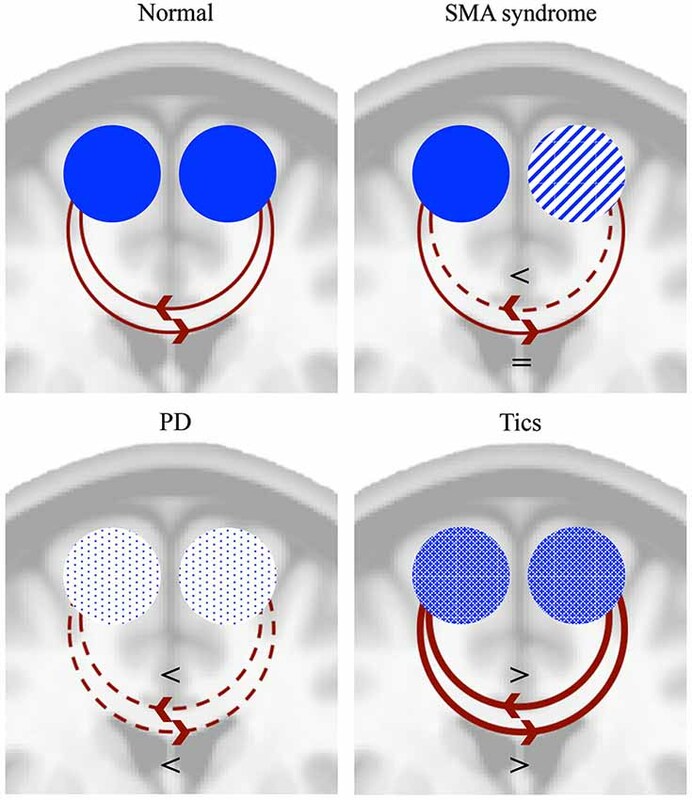 The functional schemes are projected on a coronal MNI brain section. = denotes unchanged modulation, < denotes decreased modulation, > denotes increased modulation. Ryu, Ju Seok, Min Ho Chun, and Dae Sang You. ‘Supplementary Motor Area Syndrome And Flexor Synergy Of The Lower Extremities’. Ann Rehabil Med 37.5 (2013): 735. Web. 24 Sept. 2015. Front. Hum. Neurosci., 28 November 2014 | http://dx.doi.org/10.3389/fnhum.2014.00960. Insights from the supplementary motor area syndrome in balancing movement initiation and inhibition. A. R. E. Potgieser, et al. normal cerebellar tonsils may lie up to 3 mm below the foramen magnum in adults. With infants, however, tonsils as low as 6 mmbelow the foramen magnum can still be normal. there is no direct correlation between how low the tonsils are lying and clinical severity. Chiari malformations are associated with spinal cord cavitations (ie, syringomyelia). Table. Classification of Chiari Malformation. A diagrammatic representation of CSF flow under normal circumstances. A: Sagittal view of the craniocervical junction and upper cervical spinal cord in an anatomically normal patient shows no obstruction to CSF flow at the foramen magnum. A segment of spinal cord parenchyma (box) is shown in more detail in part B. B: Magnified view of the box in part A shows CSF flow dynamics in a normal patient with a variably stenotic central canal (CC), as indicated by the horizontal lines. CSF pressure (vertical arrow) is normal. 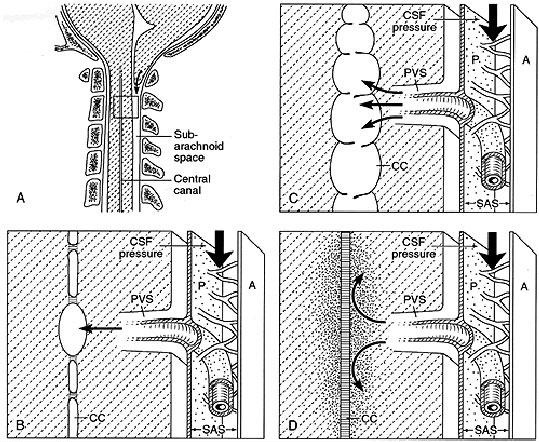 CSF flows from the subarachnoid space (SAS) between the arachnoid (A) and pia (P) to the subpial space, and then enters the perivascular space (PVS). CSF circulates through the cord parenchyma toward the central canal, but may also flow in reverse as these forces are relatively balanced under normal circumstances (double-headed arrows). 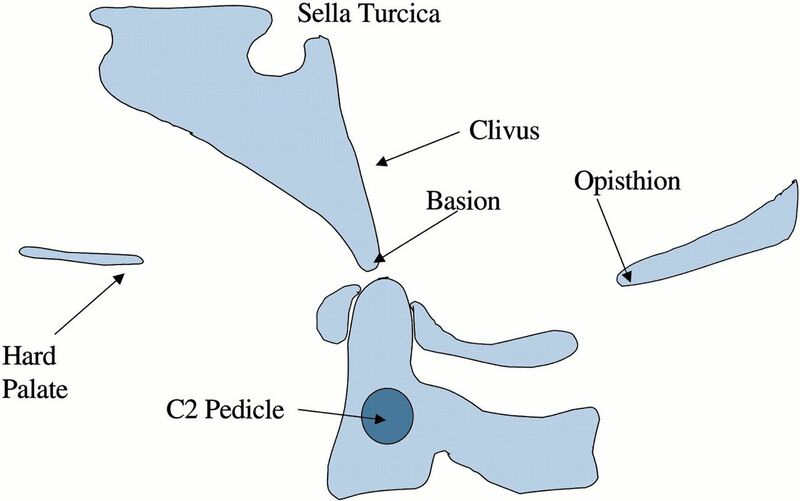 Diagrammatic representation of syringomyelia and the “presyrinx” hypothesis in the setting of obstruction to CSF flow. 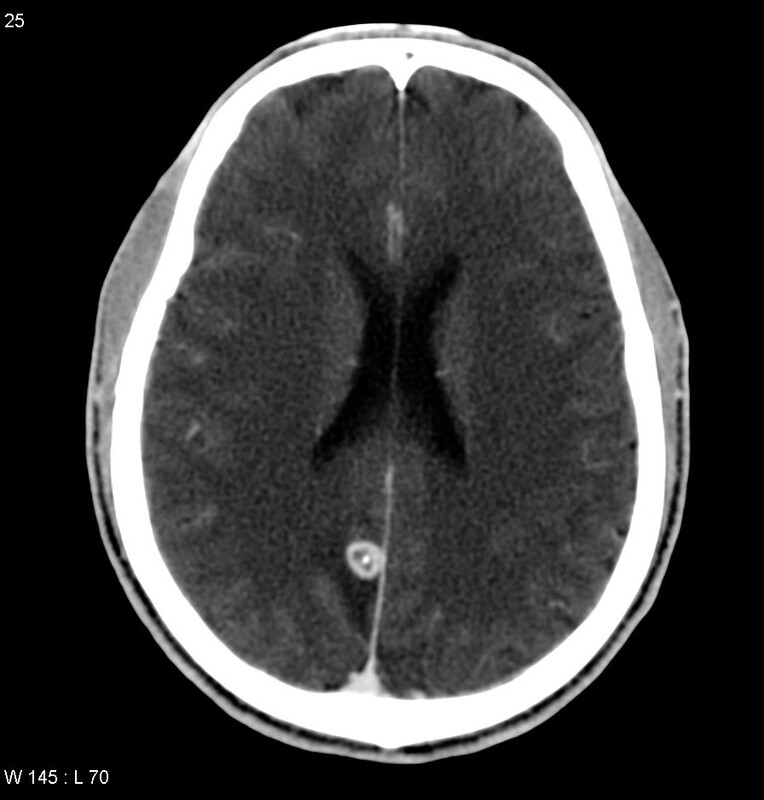 A: Sagittal view of the craniocervical junction in a patient with a Chiari I malformation shows abnormal descent of the cerebellar tonsil below the level of the foramen magnum(arrow). 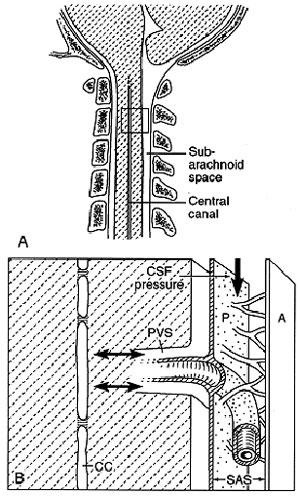 A segment of spinal cord parenchyma (box) is magnified in parts B to D, which represent views of CSF dynamics at the level of the spinal cord parenchyma in the presence of alterations in normal CSF flow and variable patency of the central canal. B: Focal noncommunicating syrinx. In the setting of a Chiari I malformation and a variably stenotic central canal (which is a normal variant in many adults), as the tonsils descend rapidly during systole, CSF is driven into the spinal cord parenchyma by increased CSF pressure (thick vertical arrow). Net CSF flow occurs toward the central canal, resulting in focal syringomyelia which is limited in its craniocaudal extent by intervening stenosis of the central canal. 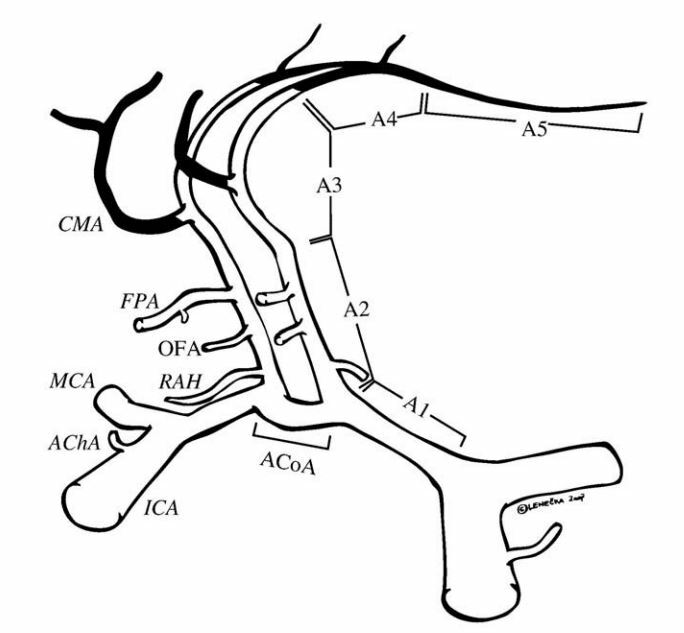 CC = central canal, A = arachnoid, P = pia, SAS = subarachnoid space, PVS = perivascular space. C: Extensive noncommunicating syrinx. This situation is similar to B, but the central canal is more extensively patent. In this situation, a long-segment dilation of the central canal (curved arrows) occurs as CSF is driven into the central canal via the perivascular spaces by the accentuated CSF pulse pressure (thick vertical arrow) that results from downward motion of the low-lying cerebellar tonsils in systole. D: “Presyrinx”. 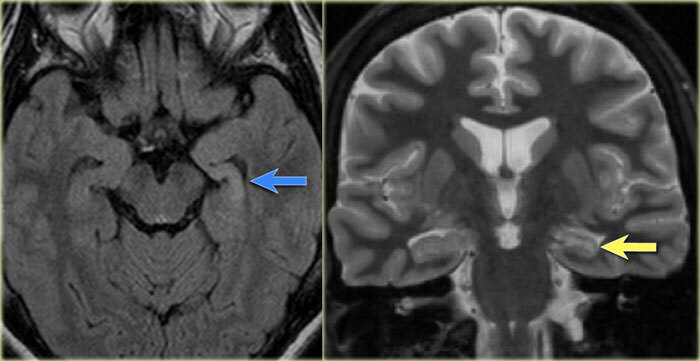 In the setting of altered CSF flow, as with a Chiari I malformation, fluid in the subarachnoid space is subjected to increased pressure (thick vertical arrow). Net CSF flow is into the spinal cord parenchyma; however, because the central canal is not patent (as indicated by thehorizontal lines), fluid cannot accumulate within the central canal (curved arrows) and therefore diffuses through the cord parenchyma (stippled area),resulting in cord enlargement. Medscape,. ‘The ‘Presyrinx’ State’. N.p., 2015. Web. 24 Sept. 2015. Uptodate.com,. ‘Chiari Malformations’. N.p., 2015. Web. 24 Sept. 2015. A second infusion of 0.5 mg protamine per 1 mg LOVENOX may be administered if the aPTT measured 2 to 4 hours after the first infusion remains prolonged. 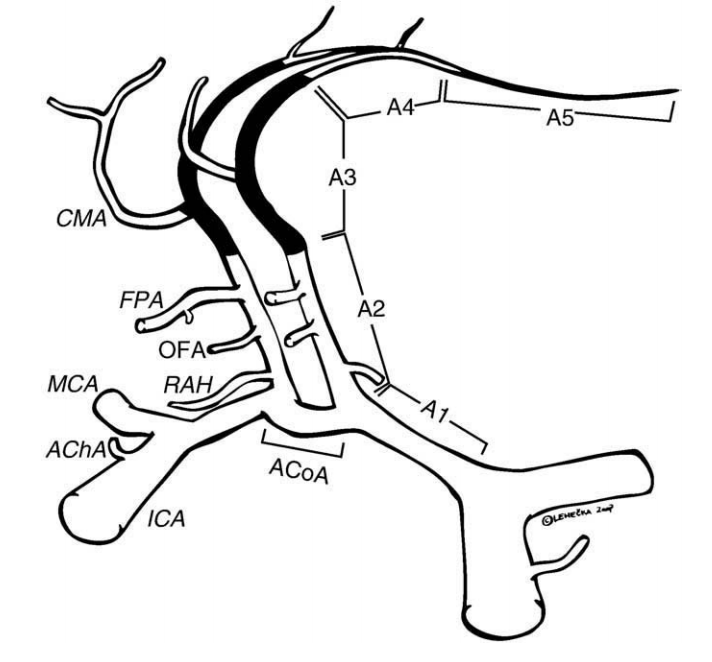 Illustration demonstrating segments and branches of ACA and location of A3As. Illustration demonstrating segments and branches of ACA and location of AdistAs. Microsurgical division of DACA aneurysms with emphasis on AdistAs. Lehecka, Martin et al. 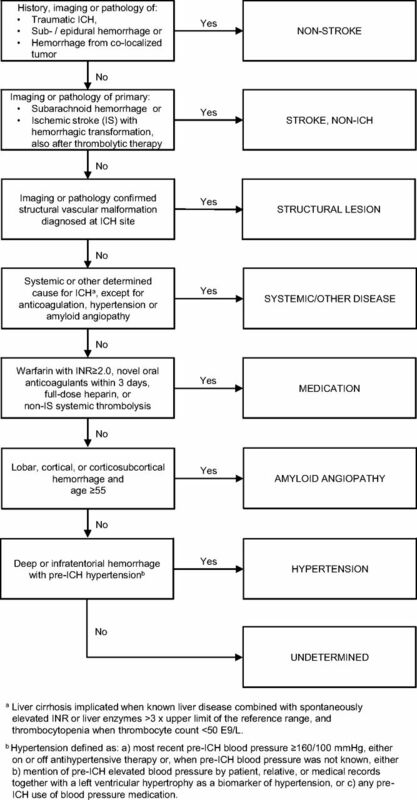 ‘Microneurosurgical Management Of Aneurysms At A3 Segment Of Anterior Cerebral Artery’. 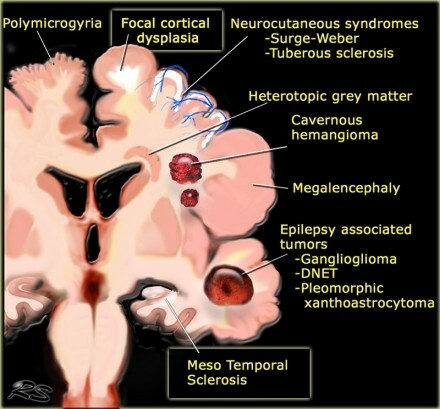 Surgical Neurology 70.2 (2008): 135-151. Web. 20 Sept. 2015. Lehecka, Martin et al. 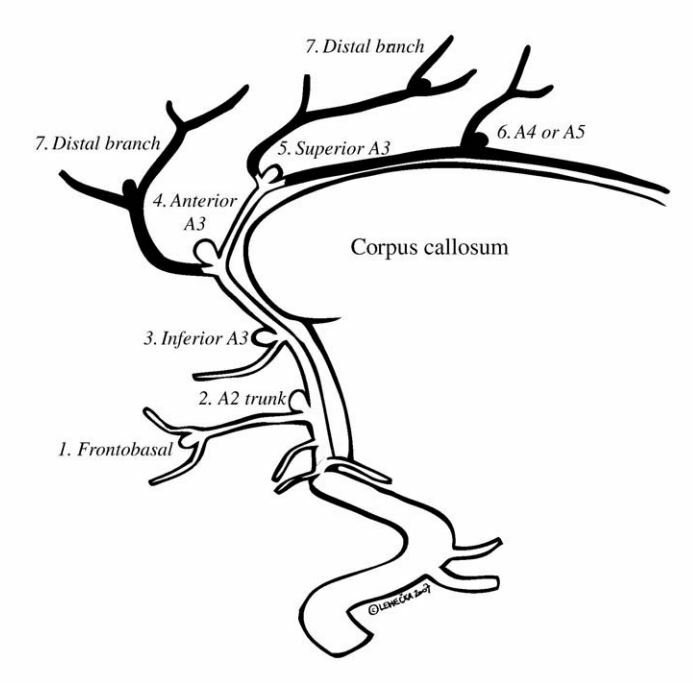 ‘Microneurosurgical Management Of Aneurysms At A4 And A5 Segments And Distal Cortical Branches Of Anterior Cerebral Artery’. 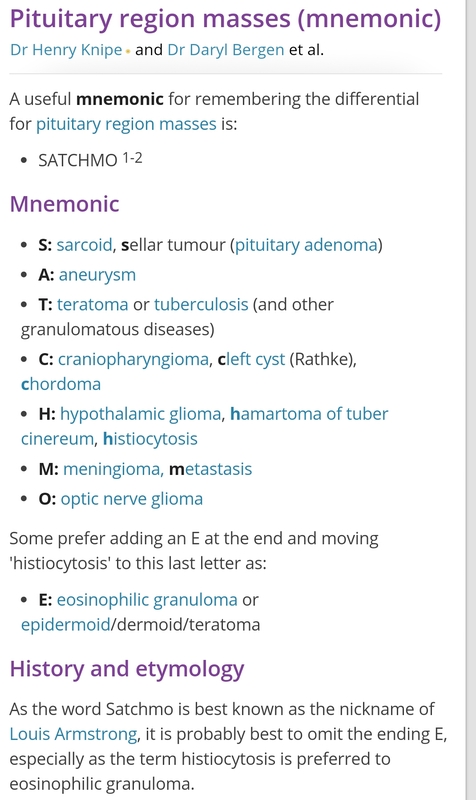 Surgical Neurology 70.4 (2008): 352-367. Web. 20 Sept. 2015.